Broadway legend Barbara Cook died early Tuesday morning of respiratory failure at the age of 89. The Tony Award-winning actress and singer was an ingénue during the 1950s and ’60s during Broadway’s Golden Age. Years later, after overcoming substance abuse and depression, she transformed herself into a concert and cabaret star. Cook is best known for her 1956 role in Leonard Bernstein’s short-lived Candide, with its popular cast recording, that ensured her immortality. She also originated the role of Marian, a librarian who falls for con artist Harold Hill, in The Music Man. In June, 2016, she chatted with NPR’s Terry Gross. During their chat, they chatted about the gay community, specifically the emotional coming out of her son, Adam LeGrant. 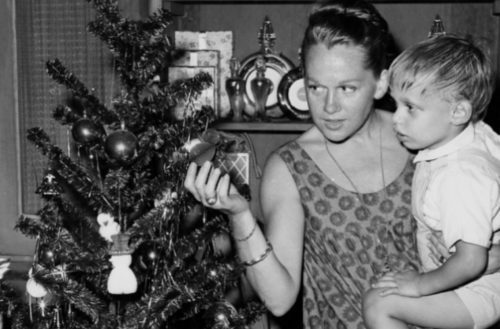 Barbara Cook with her son Adam LeGrant in 1963 and 2006. 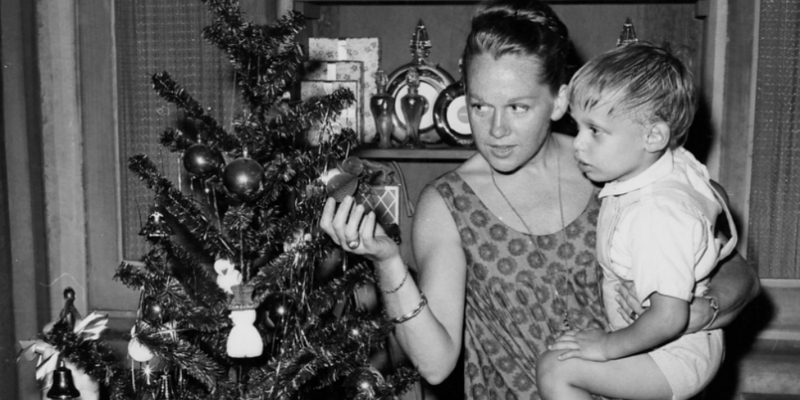 Next, Cook retells the story of her son’s emotional coming out in great detail, a story many LGBT people and their mothers may be able to painfully relate to. “Not at all, but it was – well, this is a huge thing about somebody, you know? It’s a big thing. And I thought I knew my son thoroughly, and then I realized that I didn’t – you know, that he had this whole way of life that he wanted to join if he hadn’t already. And I didn’t realize that. And I thought there’s something wrong. I have a son I don’t know. And I cried for about five days. And I also thought, am I going to have grandchildren? All of that. And then it occurred to me to ask myself – what the hell’s going on with you? And I realized that all my life, I had felt outside of the – well, I call it the mainstream of life. And by having a son, that plugged me in somehow in my mind. And then when he told me he was gay, that unplugged me, and that disturbed me. And then I cried about five days. And then I thought, wait a minute, what’s going on? And I said to myself, look, Adam LeGrant is not here to plug me into anything. And I am here to try to help him to be the fullest person that I know how to help him be. And then I was OK.